TIME-STRATEGIES helps our clients cut through the clutter of life, simplifying both business and personal time to improve productivity, efficiency, and quality of life through customized solutions. Christine Reiter, founder of Time-Strategies, has a diverse background in the fields of design, education and technology. As a Systems Engineer Office Automation Specialist with the IBM Corporation, she conducted productivity studies, provided project management, and facilitated technology implementation for small businesses as well as Fortune 500 companies. While with IBM, she taught supervisor and management training classes as well as technical seminars. Christine's experiences in the highly ordered corporate world and the unstructured world of the arts uniquely qualify her to assist visually oriented clients in developing skills for a structured work environment. 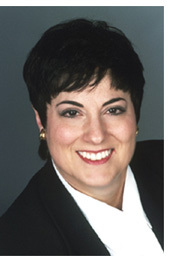 Christine is a Certified Seminar Leader and has spoken for organizations such as the U.S. Postal Service, Marketing Directors' Association, Secure Horizons, Office Depot, National Association of Women Business Owners (NAWBO), and American Society of Trainers and Developers, Los Angeles Chapter (LA-ASTD). She has served as an instructor for L.A. Mission College and has been a guest on talk radio shows throughout the nation. Christine's organizational techniques were featured on NBC TV's Today Show. She is the author of the handbook, "Smart Ways to Organize Your Life." Workshops and seminars are also available on time management, goal setting, and managing office technology from a non-traditional point of view.